Black rabbit fur felt telescope crown hat with grosgrain band and bow, lambskin trim. Handmade straw feather trim. 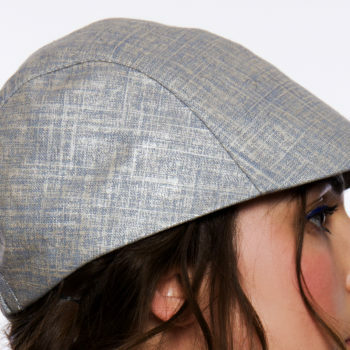 Brim size: 3 1/2” Check your size first! Click Here. 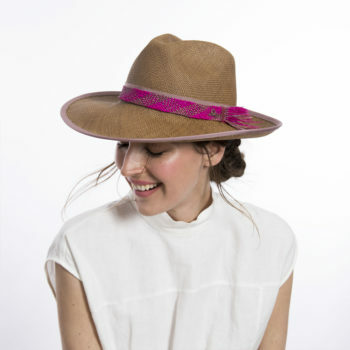 Royal blue panama hat woven by hand with Colombian toquilla straw, trimmed with burgundy and light dusty pink grosgrain bands, and burgundy lambskin trim. 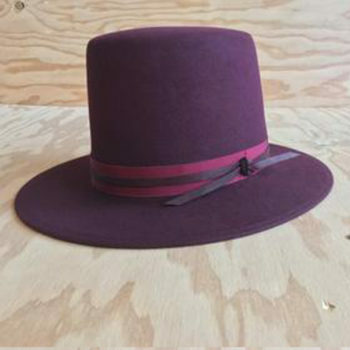 Burgundy lambskin trim around brim edge. Brim size: 3 1/2” Check your size first! Click Here. Tone on tone burgundy rabbit fur felt with a light burgundy grosgrain band and burgundy lambskin trim. Brim size: 2 1/2” Crown height: 5 1/2” Check your size first! Click Here. 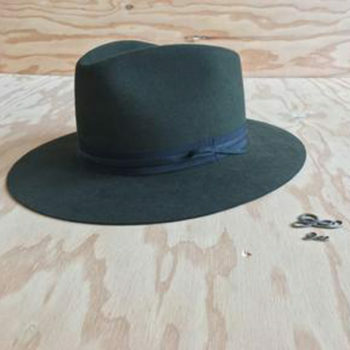 Fedora Hat in olive green rabbit fur felt with black cotton-rayon grosgrain band and black lambskin trim. Brim width: 2 7/8” Check your size first! Click Here. Burgundy rabbit fur felt with Italian wool bias band, light blue silk, and navy blue lambskin trim. Brim size: 2 1/2” Crown height: 5 1/2” Check your size first! Click Here. 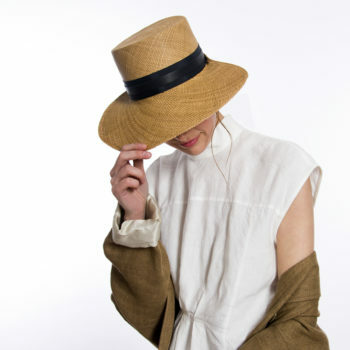 Fedora Hat in Alabaster white rabbit fur felt with two-tone blue grosgrain band, navy blue lambskin, and tan cowhide trim. Navy blue lambskin tassel Brim width: 2 7/8” Check your size first! Click Here. 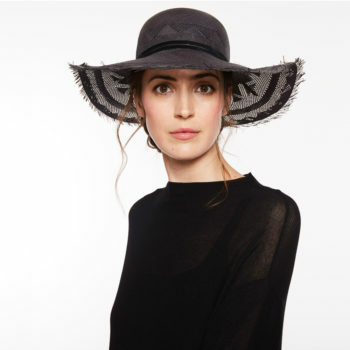 Expertly crafted in Colombia from smooth and very thin Toquilla straw, this hat features a stunning fine weave with striking one-of-a-kind patterns. 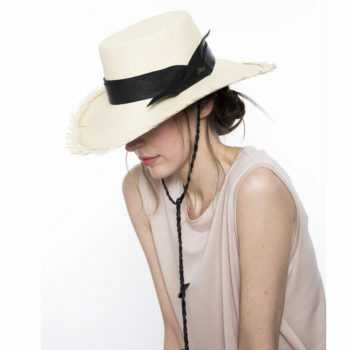 Trimmed with high quality suede bands and adorned with a straw embellishment detail, this hat is an exclusive piece to wear all summer long. Crown 3 1/2" Brim 4" Check your size first! Click Here.